Vaccination Week and the Ever-Changing U.S.
Vaccination Week occurred not long ago, and the ever-changing U.S. and Americas celebrated the possible elimination of the disease, Rubella! Not only do many First World countries push vaccinations as necessary and safe, they rely on short-term case studies of only a few hundred to a few thousand subjects to determine outcomes for millions, if not billions of people. Part of this debate includes whether or not multiple vaccinations are risky for infants, ensuring such medical procedures do not cause negative long-term, or adverse effects. Unfortunately, the death of two babies and over thirty who were sickened after receiving multiple doses of vaccinations in Simojovel, Chiapas in Mexico bring the debate to light again on whether vaccines are indeed safe for infants. 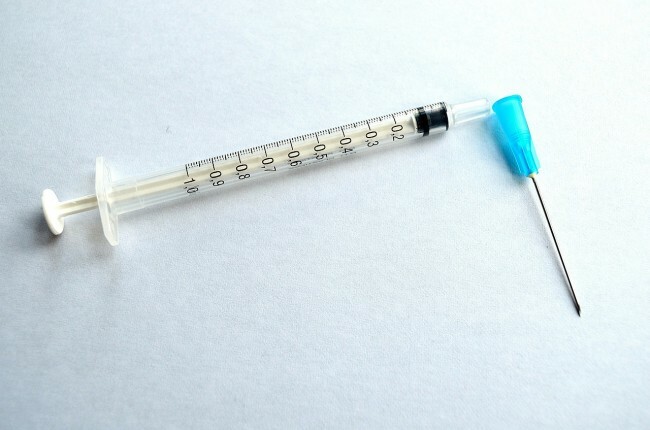 According to the Pan American Health Organization (PAHO), the Americas are the first to eliminate Rubella in their region, aside from the eradication of smallpox in 1971 and elimination of polio in 1994. It is indeed a historic milestone to the 15 year effort of the “widespread administration” of the MMR vaccination, which is used to prevent the disease of Measles, Mumps, and Rubella, according to the World Health Organization (WHO). Rubella, also known as German Measles, is “an exanthematous illness characterized by nonspecific signs and symptoms,” according to the Center for Disease Control (CDC). It is associated with rash, swollen lymph nodes, eye pain, and even Central Nervous System (CNS) complications. Congenital Rubella Syndrome (CRS) is often associated with the disease passing from a pregnant mother to her fetus and newborn, which would adversely affect the newborn. The anomalies most commonly associated with CRS are auditory (e.g., sensorineural deafness), ophthalmic (e.g., cataracts, microphthalmia, glaucoma, chorioretinitis), cardiac (e.g., patent ductus arteriosus, peripheral pulmonary artery stenosis, atrial or ventricular septal defects), and neurologic (e.g., microcephaly, meningoencephalitis, mental retardation). In addition, infants with CRS frequently exhibit both intrauterine and postnatal growth retardation. Although researchers claim there can be no link between the MMR shot and symptoms of autism since the vaccination is given to infants who are one year old or older, the CDC does not require healthcare providers to administer serologic testing of antibodies and therefore, specific immunity of any patient. Sure, newborn infants would not require such testing, but what about the mother, particularly as it relates to CRS? It is assumed most patients in the U.S. have been properly immunized. If a pregnant patient is assumed to not be, or if a patient plans to become pregnant very soon, she cannot receive the MMR shot due to the likeliness of adverse effects. More so, any patient who shows no evidence of being vaccinated, or having immunity from such diseases are recommended to receive an additional dose – just to be on the safe side. In fact, according to the CDC, because some infants are assumed to not be fully immune from the first shot of MMR, a second dose is recommended either 28 days later, if necessary, or, routinely from age four to five. For girls, the CDC recommends the vaccine be given again at age 11 or 12 due to bodily changes involving puberty. Serologic testing for immunity is not required, according to the CDC. Vaccination Week took place a couple of weeks ago and many proponents in the ever-changing U.S. have expressed the necessity in administering vaccines to ensure herd immunity. If a patient expresses he or she is unsure of his or her exposure to either vaccinations or a disease, recommendations are given by expert committees to overdose the patient instead of testing the immunity of the patient, first. Therefore, female patients may unknowingly pass on numerous antibodies created overtime from multiple vaccines to her fetus and newborn, not to mention other chemicals which may have affected her genetic makeup. One may then wonder if this triggers developmental issues related to pregnancy from possible adverse effects of certain vaccinations, particularly that of the MMR vaccine and more specifically, effects related to CRS. After all, the live vaccine and disease has been associated with symptoms related to anaphylaxis, encephalitis, and lymphadenopathy – symptoms often related to autism. Although the American organization of PAN and WHO are celebrating a breakthrough involving the elimination of Rubella and CRS, one has to wonder of the statistics used to make such a declaration. To start, elimination is based on a disease which has not been spread consecutively for 12 full months or longer; although some patients, whether citizens or not, may still be affected by such diseases. Also, it is much harder to track symptoms of Rubella and CRS, according to Dr. James Cherry, a professor of Pediatrics at the David Geffen School of Medicine. Indeed, it is a monumental milestone in the Americas to have so many people in this day and age hardly affected by diseases which were once widespread and had affected millions. Although statistics are used with only either a few hundred subjects or a few thousand who are then calculated to speak for millions, if not billions of people, one should probably relate these types of medical technologies to that of the implementation of genetically modified organisms (GMO) in food. To over-vaccinate the population and under-test patients is the same as injecting people with questionable substances that can and will affect a person’s body, both in the short-term and long-term effect. Such substances, such as neomycin and aluminum, affect individuals differently and many people may be unaware of how these substances affect their bodies, or that of their babies. They may also feel they have no real choice in what is recommended by experts to not only protect their safety, but that of herd immunity. Not only that, but doctors may be quick to dismiss such valid concerns, relying on brief and possibly inaccurate statistics to convince numerous patients of the overall effects of vaccinations, as scientists do with topics related to GMOs. Vaccination Week occurred not long ago and the ever-changing U.S. is at the forefront of certain medical breakthroughs, particularly that which involves vaccines. Despite adverse effects which recently occurred in Mexico after the injection of multiple vaccinations in infants, investigations are still underway to determine if such effects were related to spoiled vaccines, or other underlying causes. Whether or not individuals agree with these types of medical breakthroughs and scientific genetic modifications in food, or not, each person should be informed and able to choose what will affect his or her overall health, and that which will be passed on to his or her future generation.